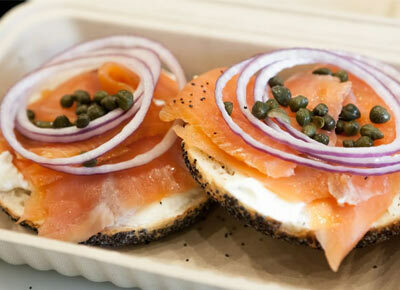 NEXT ARTICLEIs This the Bay Area's Best Bagel? In San Francisco, we love to support the little guys. Remember how happy we were when our very own Bi-Rite Market was named one of the Best Small Companies of 2016? Well, there are a whole lot more amazing independent markets that make food shopping in SF so great. To show our love for local and family-owned businesses, we’ve rounded up 11 of the best markets by neighborhood. Did your favorite make the list? You won?t go here for your everyday milk and eggs. Instead, you?ll stop by this artisanal market to feel fancy: farmstead cheeses, handcrafted chocolates, custom-blended spices and everything you could possibly need for your cocktail cart. You can even bottle your own olive oil from whatever?s ?on tap.? What?s fancier than that? This neighborhood gem ceased stocking groceries earlier this year, but fear not, you can still shop the curated selection of wine and beer (and c’mon, that’s all we really need). Or you can grab a snack and a latte from the coffee bar and linger over a New York Times crossword puzzle. The latest in Gus Vardakastanis?s mini empire of neighborhood grocers (you know them for their long-standing Haight and Noriega locations), Gus?s Community Market brings this 30-year-old family-run business to the Mission with hand-picked produce and prepared foods (like homemade spanakopita). A few blocks south, Local Mission Market peddles small-batch and artisanal goods along with seasonal produce and daily-changing take-home dinners. Consider this San Francisco’s version of Eataly. Located on the ground floor of the Twitter building, this grand new market is a boon for Mid-Market tech workers looking to grab a few upscale groceries on the way home. It also has a hot-and-cold bar, EO eco-product alcove (pictured), several impressive food stalls and a Four Barrel café. Good luck ever leaving the store! This aptly named spot caters to SoMa’s start-up set with a coffee and wine bar and a lunchtime sandwich station. (The ham-and-cheese baguette is our personal favorite.) It also stocks a good selection of upscale groceries, but buyer beware: These goods don’t come cheap. This local chain emphasizes local, sustainable and non-GMO products. They stock 100 percent organic produce and a delicious array of prepared foods (like buckwheat umami salad) and have Aloha Kombucha on tap. Can it get more SF than that? The closet-sized Little Vine is famous for its sandwiches--one for each day of the week. You’ll want to go here for specialty meats, cheeses and wines, plus an expertly curated selection of covetable packaged goods and Italian classics (like San Marzano tomatoes). If you’re in the area, stop by for weekly Thursday tastings. Devotees of this beloved grocer line up for made-to-order sandwiches like the Willie Brown Bird. It might be the only spot in the city with bulk bins of pastas and a cheese-of-the-month club. Cheese Plus has our heart forever. Unassuming both inside and out, this neighborhood market is good for everyday shopping. But the real draw is the deli counter, where they make the best roast turkey sandwich in town. Don?t trust us, though; try it for yourself. The fragrances from this market’s hot bar entice, and the panini press beckons once inside. A center island is outfitted with cake stands full of sweet treats. Did we mention that you can grind your own peanut butter? Making your own food was never so fun.